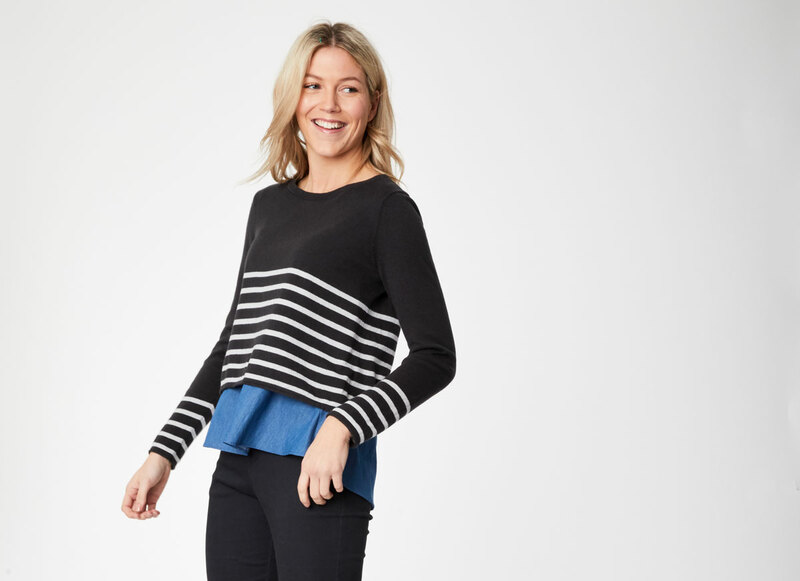 Based on a best selling shape, Thought's Cartha grey stripe jumper is crafted from soft organic cotton and wool with a hidden organic cotton underlayer. 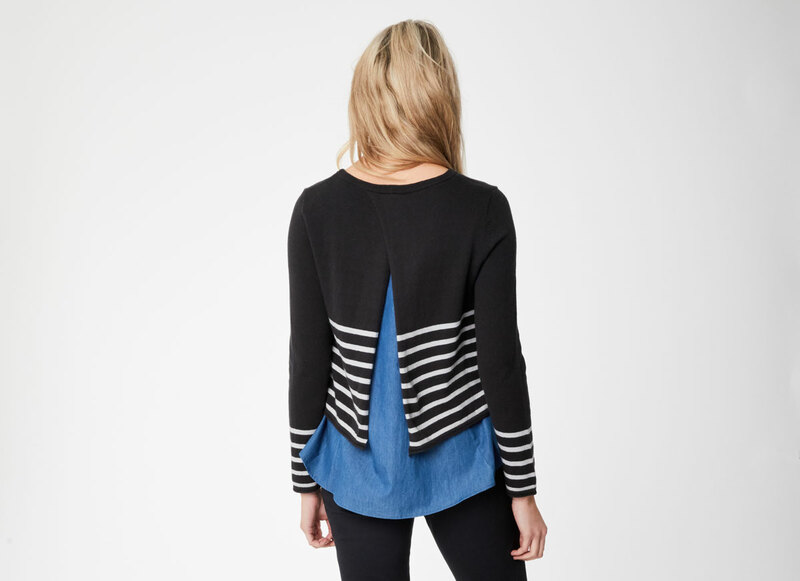 It has a simple stripe design, raglan sleeves and rolled hems. 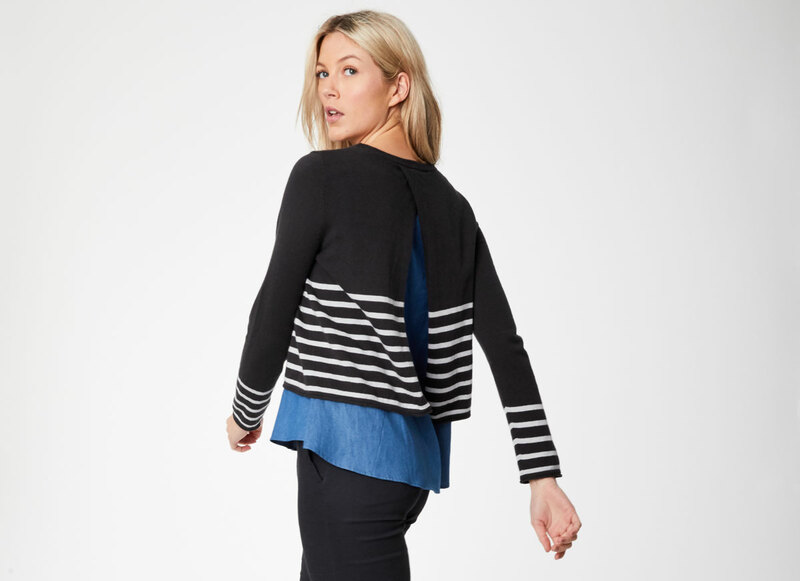 Pair this relaxed fitting, wear-anywhere piece with jeans or trousers for any occasion.